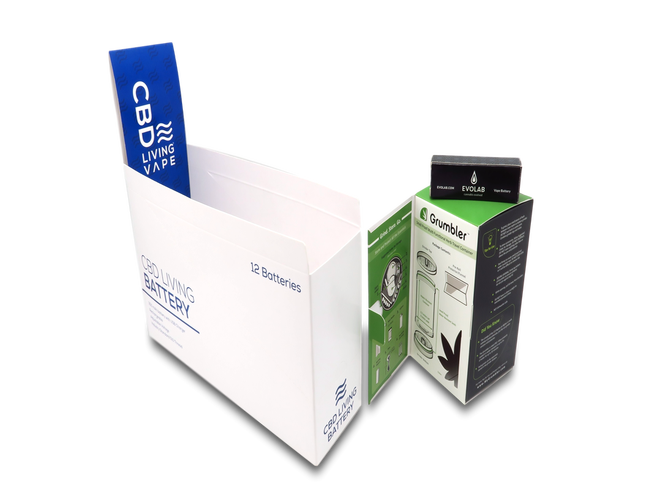 Whether it’s the batteries that keep vape pens running or the grinders and storage containers made for the care and keeping of bud, accessories are the unsung heroes of the cannabis world. Making your brand shine with impressive packaging is easy. Just choose from our fantastic range of box styles, accents, and surface finishes—you’re sure to love the results! Is this your first time ordering packaging? We get it—that’s why we offer free consultations and mockup samples so you can make the right decisions for your brand and budget. Plus, your turnaround time could be as little as seven business days after you give us the go-ahead. So choose your box styles, features, and finish, then kick back—but not for long! It all starts with a free quote, which you can get by clicking “Custom Quote” at the top of this page or by emailing us at sales@businessimageprint.com!